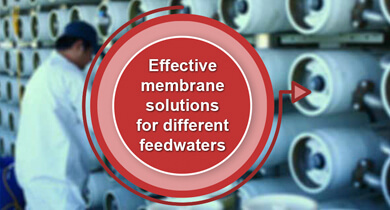 Empowering You to Make Smarter Membrane Selection! Different industries have different needs. However, all industries have one thing in common. That is, to be able to efficiently run its processes and applications with minimized cost overheads and maximized desired output. Selecting the right type of membrane products is the first step towards achieving energy, cost and process efficiency. Hydranautics helps you achieve all of these with its comprehensive membrane portfolio. In addition to our full range of RO, NF, UF & MF products, we also offer unique custom membrane solutions – Integrated Membrane Solutions (IMS) for every water type and treatment requirement. Our global reputation is a testimony of the strong relationship that we nurture with our customers worldwide. We know how important it is for our customers to make the right membrane product selection and hence are pleased to offer PRODUCT SELECTION TOOLS that guide our customers towards the right Hydranautics membranes and help them achieve a distinct competitive advantage. 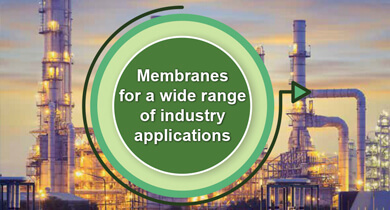 Your Industry, Our Membrane solutions, Your Advantage! This tool, with its impeccable speed, design and intuitive ability, intelligently deciphers requirements specific to the industry that you cater to, the various applications/ sub-applications that you work on and aptly guides you to the right membrane solution. The Best Fit Membrane Match-Maker! Isn’t it convenient to locate at one place, comparable membrane models from other manufacturers alongside Hydranautics membranes, and finding out which Hydranautics membranes closely match your requirements? That’s what we call – comparing and choosing right with our Cross-Reference Tool. 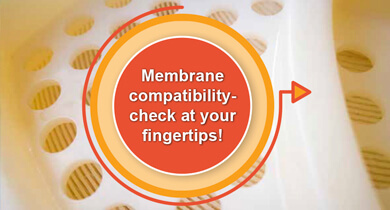 Selecting the Right RO-NF Membrane Product Now a Breeze! The RO-NF Product Selector Tool helps you in selecting the right membrane product fit, basis an array of parametric inputs such as water source, pretreatment, permeate flow, feed TDS, permeate TDS and operating temperature.